At the end of each conference day, you can have five timed minutes to stand and talk before the assembled conference attendees. 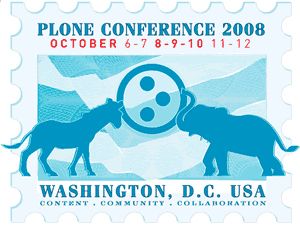 You can unveil a new Plone product, inform people about a little known Plone tip or feature, or pimp events you want to pitch (like a Birds of a Feather session). It's your chance to make an unjuried conference presentation. You can use a laptop projector. Or not. At the end of each conference day, you can acquire meeting space in the conference center to meet with other conference attendees concerning a topic of mutual interest. Common Birds of a Feather sessions of the past have included User group organizers, Framework or Documentation team meetings, and Educational users of Plone. This is a chance to build your own community of interest.